Pop a reminder in your phone now – Sunday 2nd of September is Father’s Day in Perth. Whether you know a new Dad, an old Dad or an absolutely crazy Dad – every father, pop and grandfather deserves a bucket full of love this Father’s Day. Or in our opinion, a big plate loaded with delicious tucker. And maybe a beer or two if he’s lucky. So we’ve sent our hungry minions out to scour the city to find some of the best places to take Dad for a meal in Perth on Sunday the 2nd. 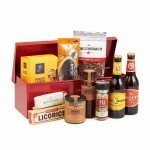 Then again, we are sure a day at home with one of our Father’s Day Hampers would also make Dad one happy man! The best bit about this venue is you can pay them to organise a present for dad too. Therefore, you’re taking him out to lunch or dinner AND giving him a present. Talk about truckloads of brownie points! Elmar’s Brewery in the Swan Valley is Perth’s largest German establishment and for Father’s Day they have both a lunch and dinner seating. For $65 extra they’ll wrap up a five litre mini-keg of Ein Stein Pilsner and two tasting glasses branded with the Elmar’s logo on and have it waiting at your table for when you arrive with Dad. Places are strictly limited, so make sure to head over to Elmar’s website for further details and booking. Seriously are any words sexier to a man’s ears than ‘free flowing beer’? The Joondalup Resort and Country Club is putting on a family carvery buffet with two hours of free-flowing beer, sparkling wine and soft drinks. Plus, there’s a chocolate fountain dessert buffet – who’s drooling right now? 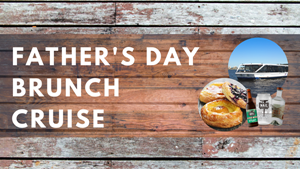 If you’re wanting an earlier start, you can also try the Father’s Day Breakfast, with all the favourites like bacon, eggs, beans and hash browns, as well as a range of sweets and pastries. Whether you’re visiting for breakfast or lunch, there’s plenty of time to play a round of golf too. For more information and booking, check out the Joondalup Resort website. Right by the ocean, Little Creatures Brewery is the perfect destination for a beer loving dad. With plenty of space and a wide range of delicious food and drinks, your ‘little creatures’ are sure to love it too. Along with a wide range of craft beers, Little Creatures also offers a fun guided brewery tour for only $15pp which runs at 12pm, 1pm, 2pm and 3pm (this ones just for the adults). The best part? This year, all tours at Little Creatures Fremantle will be free for dads! Just In Time Gourmet’s Big Boys Toys – Tool Box Hamper is a great gift idea for dad before your visit. Packed full of gourmet snacks, it’s perfectly paired with the Little Creatures beers. For more info, visit Little Creatures’ Fremantle website. Only 30 minutes from the Perth CBD, The Cheese Barrel in the Swan Valley is holding a special Father’s Day event with tractors for the kids (and grownup kids!) to play with. Their delicious regular menu will be available plus a specially designed Father’s Day cheese board. With wonderful cheeses, wine and the laid-back atmosphere of The Cheese Barrel, you’ll need to roll dad out the door by the end of the day! No bookings are required for this event, so pop over to The Cheese Barrel website for further details. Copious amounts of meat and a free beer for dad for $59 – what dad wouldn’t love that! The Duxton Hotel’s Firewater Grille in the Perth CBD will make sure dad doesn’t go hungry this Father’s Day. If the weather’s nice, you can plan a scenic walk around the nearby Kings Park afterwards to help settle the full tummy. For more details on how to book, check out the Firewater Grille website. Spoil dad this Father’s Day with a beautiful captain’s cruise along the Swan River. You’ll see the best sights Perth has to offer while relaxing comfortably aboard the fully catered cruise. Onboard, dad will be treated to a buffet style brunch of sandwiches, hot foods, salads and desserts. This cruise will also be visited by the whiskey experts at Whipper Snapper Distillery, giving dad an exclusive whiskey tasting. Dad will love this beautiful cruise, which also includes a free take-home gift on Father’s Day. Places on the cruise sell out fast, so make sure to book early at Captain Cook Cruises to secure your spot. For the gourmet dad, take a trip to Caversham House in the Swan Valley. Nestled on the banks of the Swan River, this property is home to award winning cuisine made from fresh, local produce. This Father’s Day Caversham House is featuring an enormous gourmet BBQ lunch, with mouth-watering wood-fire rotisserie, barbecue sauces, salads and sides plus a seafood paella and the legendary dessert buffet. With so much gourmet food to choose from, it’s sure to leave dad drooling. Places for the gourmet lunch are limited, so make sure to visit the Caversham House website and book a spot fast. For the carnivore dad’s out there, there’s no better place to visit this Father’s Day than Lapa Brazilian BBQ. With 16 different cuts of meat to choose from, dad will be in meat-lovers heaven. Lapa’s endless feast option puts a set price on your meal, as their trained staff proceed to bring as many different deliciously cooked meats to you as you can possibly eat. With ala carte menu options for the rest of the table, there’s plenty of room for the whole family. After this experience dad’s sure to fire up his own BBQ at home. 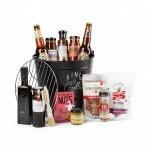 Grab him the King of the Grill BBQ hamper as the perfect gift to cap off your meal. For more info head to the Lapa Brazilian BBQ website. Just out of the city, The Vines Resort and Country Club is the perfect place to book a Father’s Day weekend retreat. With luxurious accommodation and a 36-hole championship golf course, it’s also equipped with full resort facilities. On Father’s Day, dad can enjoy a full buffet lunch, with a range of pizzas, BBQ ribs, salads and a full dessert bar. Best of all, every dad receives a free beer on entry. After lunch, you can also challenge dad to a round of minigolf with no bookings required! For more info and to book a table, head over to The Vines website. We often say that a way to a man’s heart is through food. 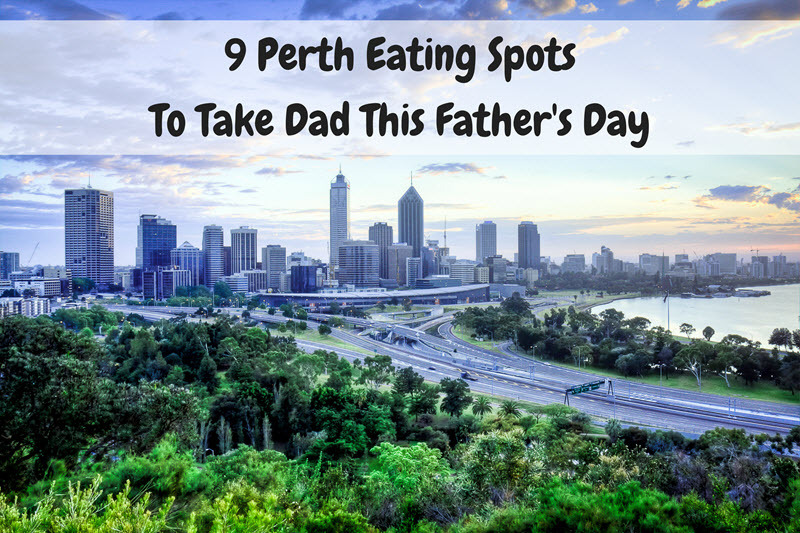 Whether you take dad out to one of these fabulous Perth locations or you order a Just In Time Gourmet hamper and chill-out on the couch, we’re sure dad will have the best Father’s Day and a very happy stomach by the end of it! If you’re looking for the perfect match for dad this Father’s Day, view our range of Father’s Day gift baskets here.